Vintage Port is the classic red dessert wine, and it is the vine product Portugal has always been best known for. The region was established as an appellation in 1756. Much like bubbly wine born anywhere but Champagne, there are many bottles called port, but all true vintage port originates in the Douro Valley of Northern Portugal, and only in declared vintages. Quinta do Noval first appeared in the land registry in 1715, and has obviously been making these venerable sweet wines for a very long time. I’m listening/watching a series of La Blogotheque’s Take Away Shows, which find some unreasonably talented musicians doing what they do, in random moments and a-typical settings, for such performances. These films never cease to enthrall me with their raw, one take, low-fi (for high-def), live performances in public spaces, amongst whoever happens to be there, in those moments. They are often single-shot (or made to appear that way), largely acoustic, usually portable and often fully in-motion. Now maybe I’m just biased because some of my favorite current artists have chosen to take part in the series: Andrew Bird, Yo La Tengo, Moutain Goats, Megafaun, Wilco… There’s one with Femi Kuti on a Paris rooftop, several with Beirut, Iron & Wine in poorly lit wine cellar, Chocolate Genius with string accompaniment amongst the rubble of a demolished building. There’s even a goateed Tom Jones doing “We Got Love”, amongst others, backstage and in his hotel room. In the opposite direction, there’s an extraordinarily nerdy cover band project, Neutral Uke Hotel, a ukulele-based Neutral Milk Hotel tribute. La Blogotheque’s Take Away Shows catalog is relatively extensive, considering the quality. There’s an innocence and a sincerity in these creatively shot one-off performances, each existing for its own sakes. As a whole, the Take Away Shows may very well be the best live music experience one can achieve without leaving home or spending any money. 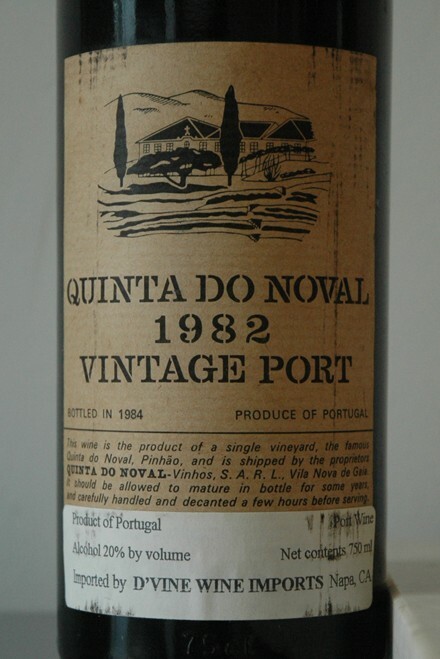 The 1982 Quinta do Noval Vintage Port is running unusually hot for a wine of its age and is still almost overbearingly alcohol prevalent after several hours of breathing. Eventually, a sweetness does begin to emerge on the palate reminiscent of rum marinated maraschino cherry, dusted with black pepper and a cool northern breeze of menthol. This wine has a long way to go still, just to settle into itself and after over 6 hours of breathing time, I left one glass out overnight and sealed the rest up, with my trusty Vacu Vin (still not sponsored!). The glass that sat out overnight was far warmer and more welcoming, nearly 20 hours after being poured, and the rest of the contents of that bottle showed worlds better the next day, and in small glasses for the rest of the week. At this point, the ’82 Noval is showing medium ruby in the glass, brickish and yellowing at the rim. 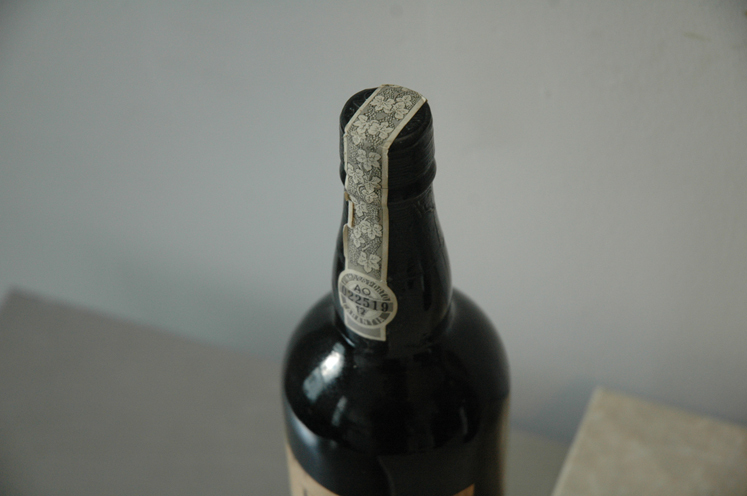 The nose is ashy, but still replete with alcohol, though the palate has become much rounder, displaying dry raspberry liqueur, violets, and caramelized plum, and wisps of the spice and menthol that was prevalent the previous day. While the fire on the nose never relented, the palate became much softer and more integrated with time. Though relatively rich and pleasurable there is significant alcohol on the finish that leaves more of a burn than an aftertaste. The wine is pretty, but largely unchallenging, making it reasonably versatile for a sticky, though it seems to go best with cigar course.